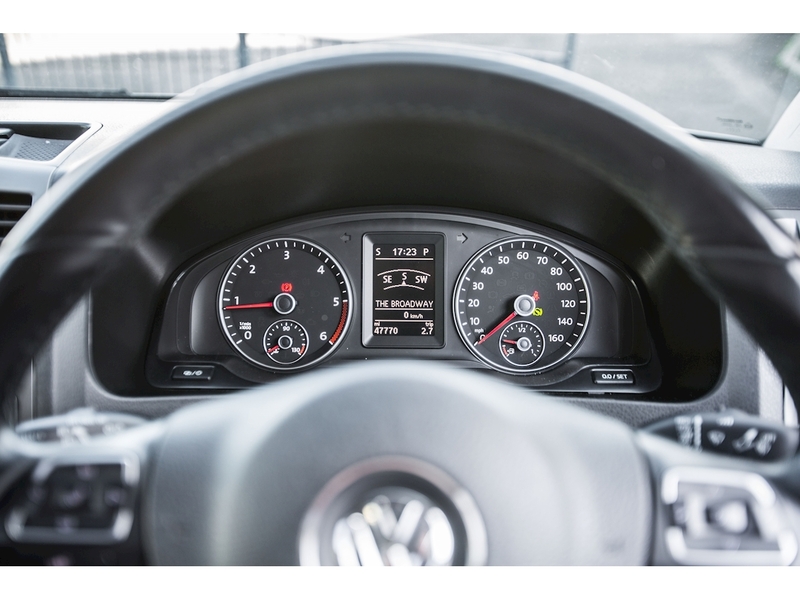 DSG Auto! 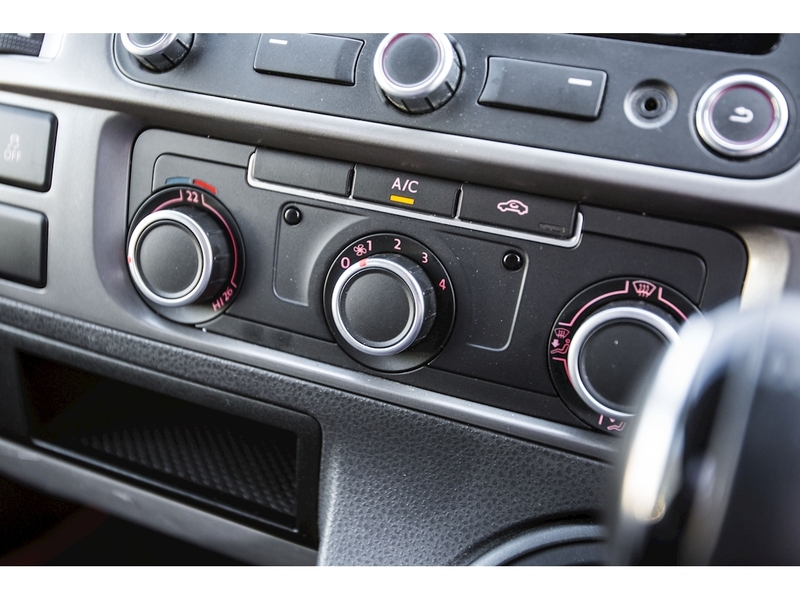 Air Con! 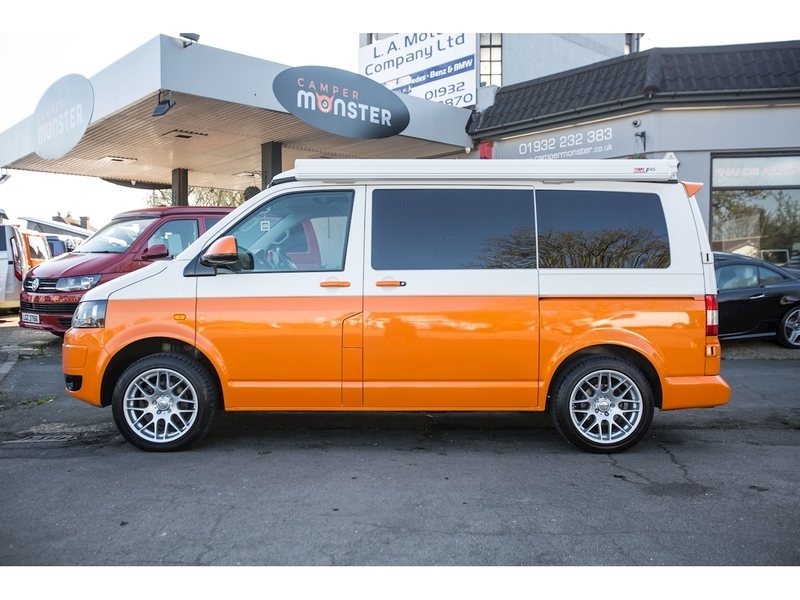 Two Tone Paint! 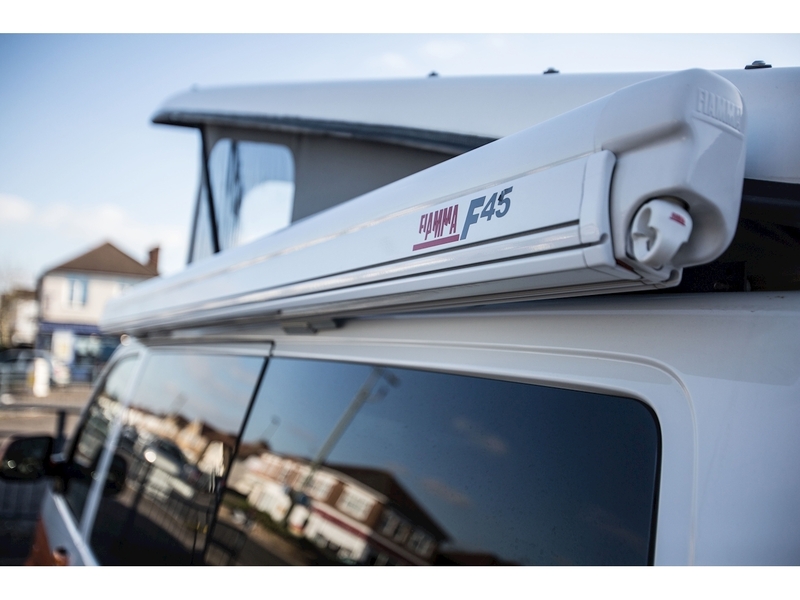 FIAMMA awning! 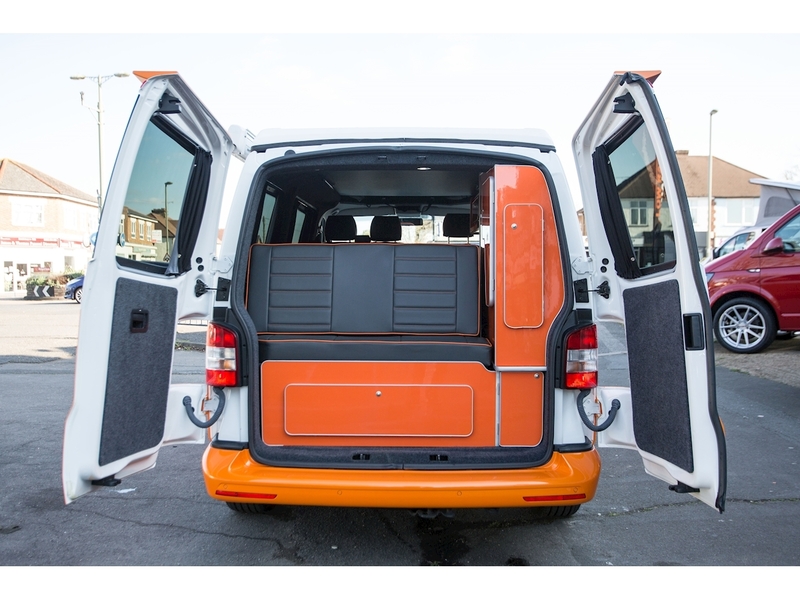 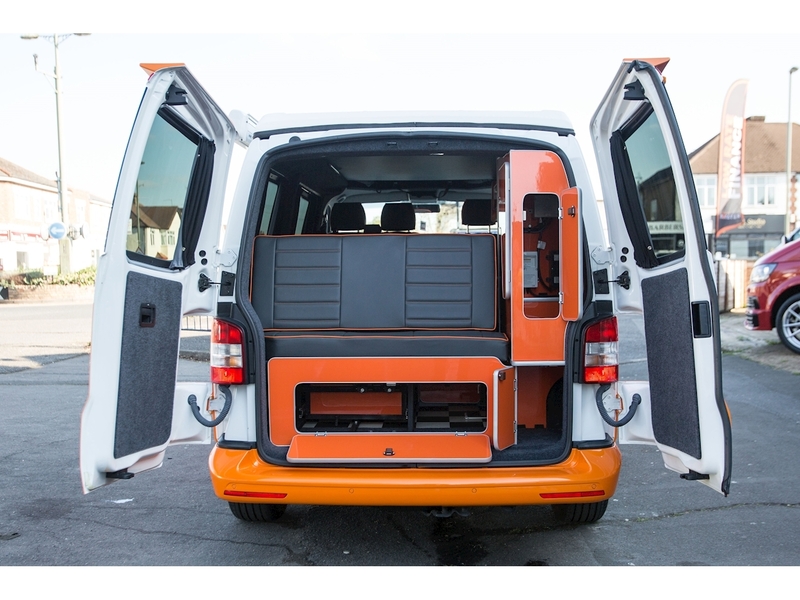 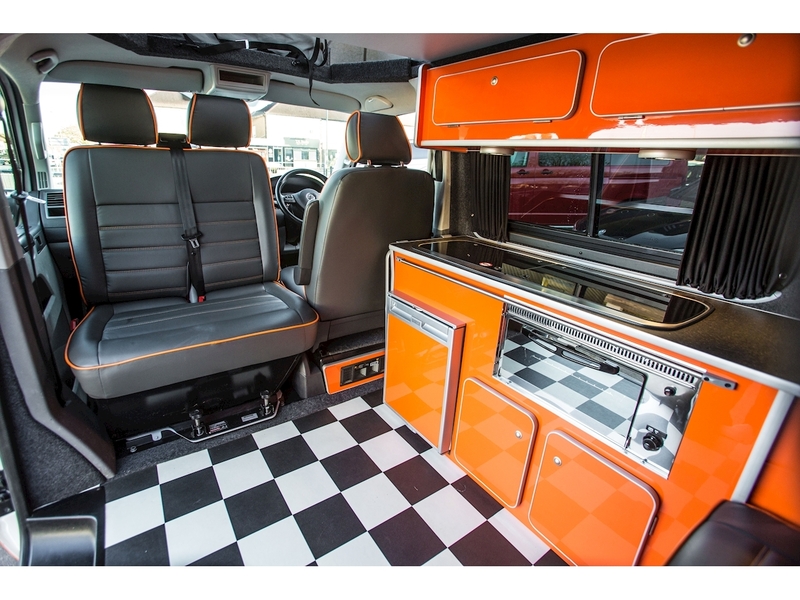 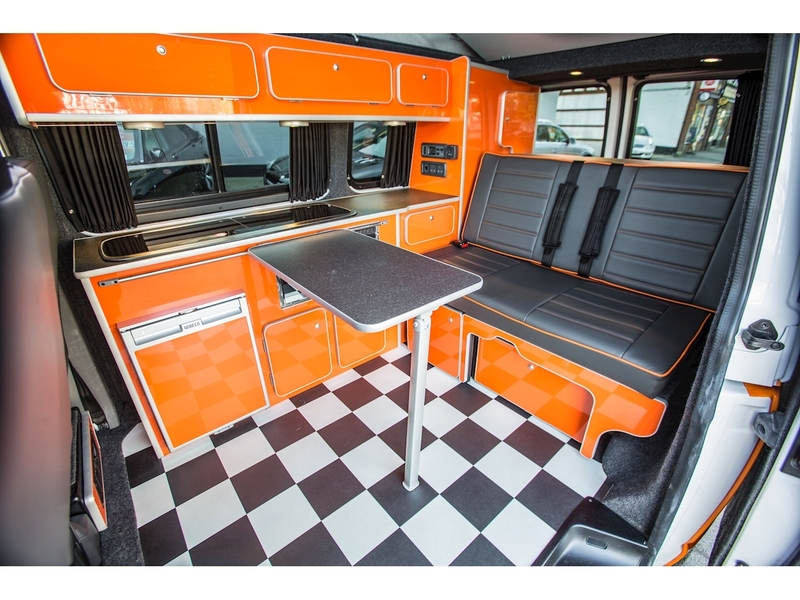 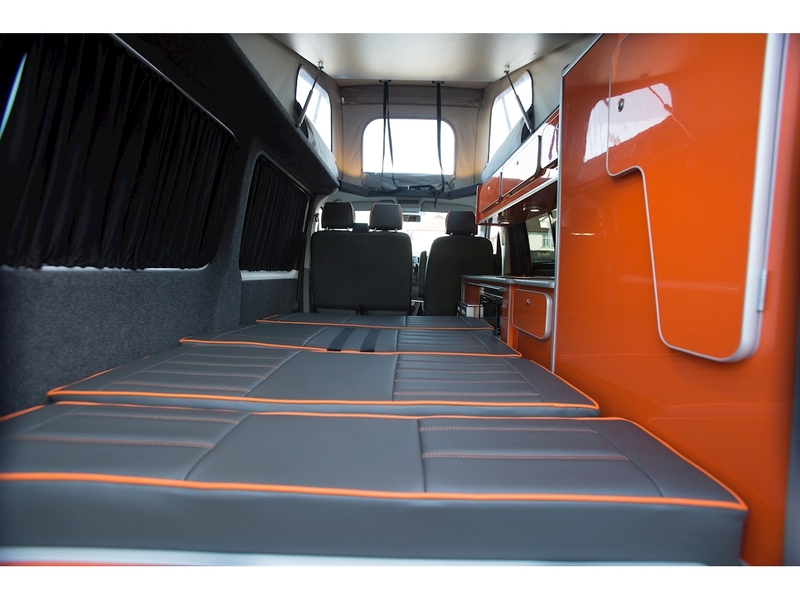 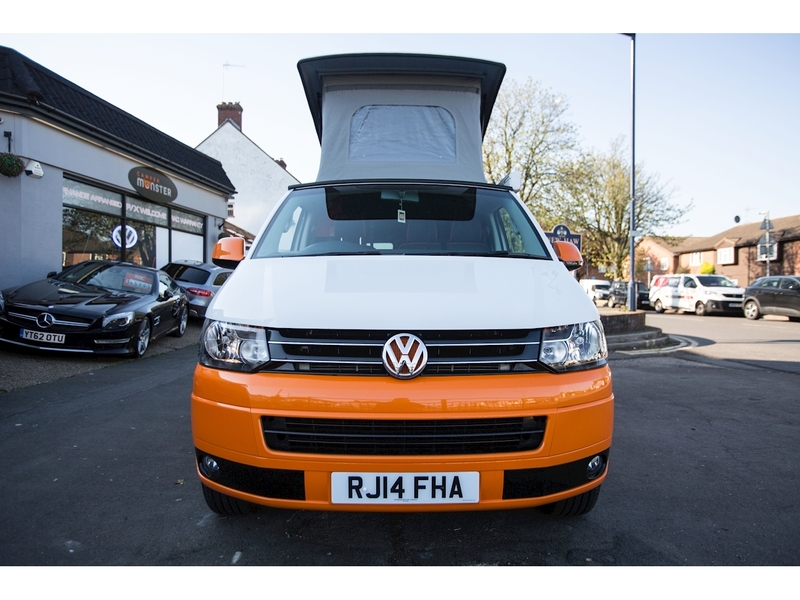 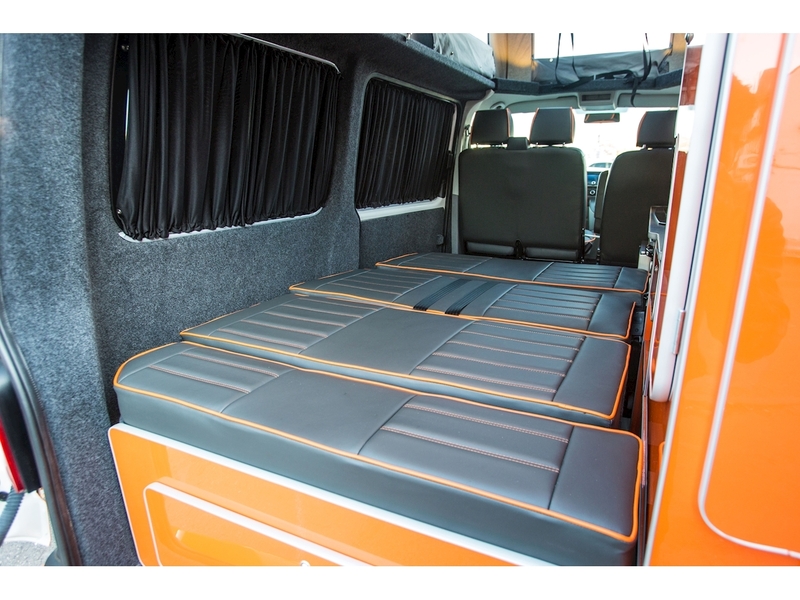 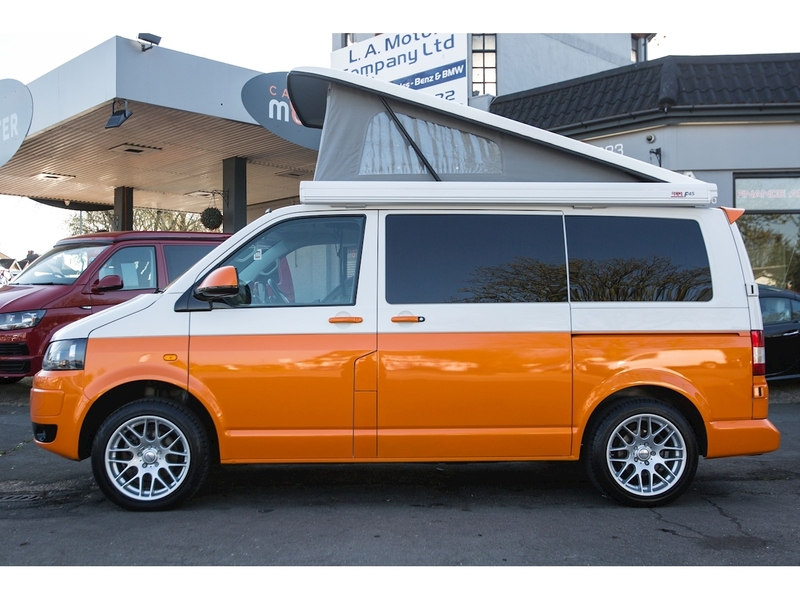 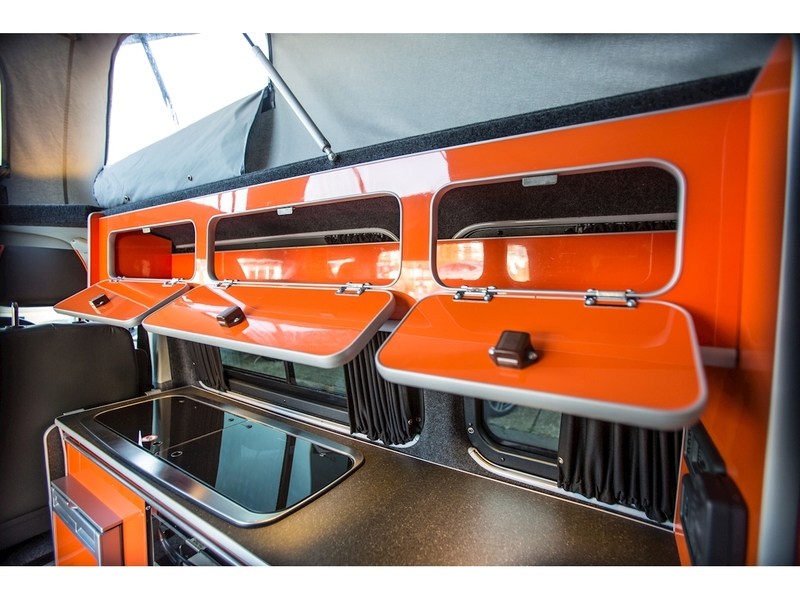 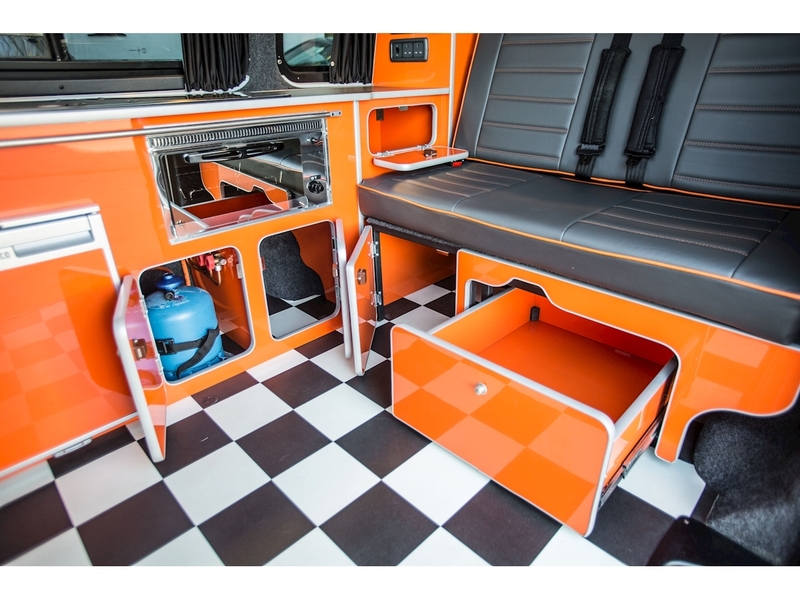 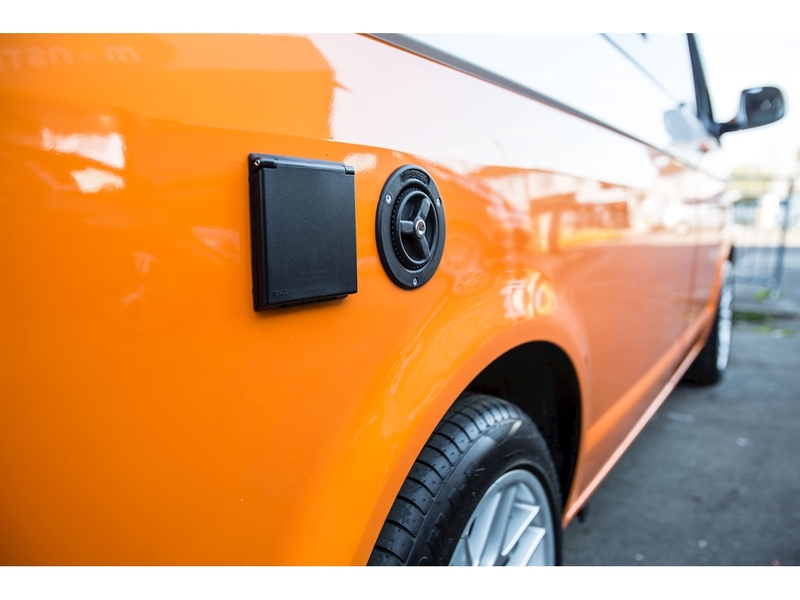 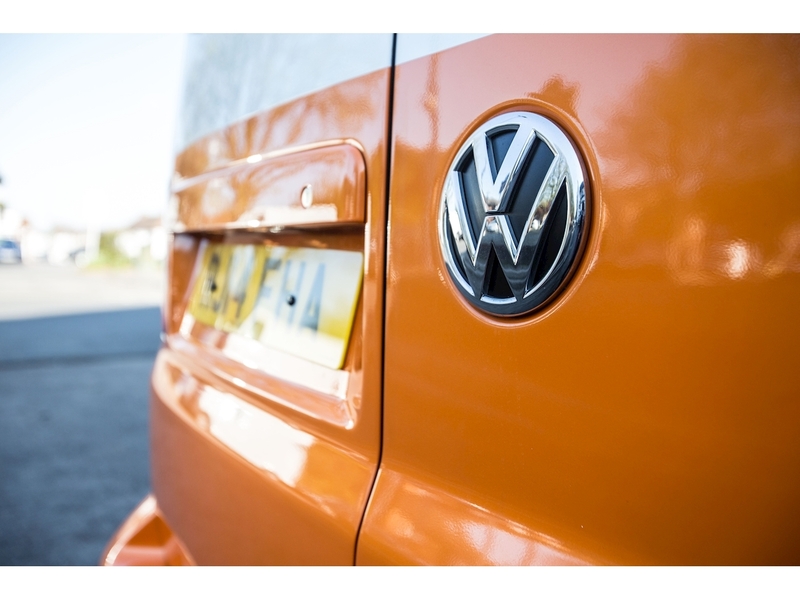 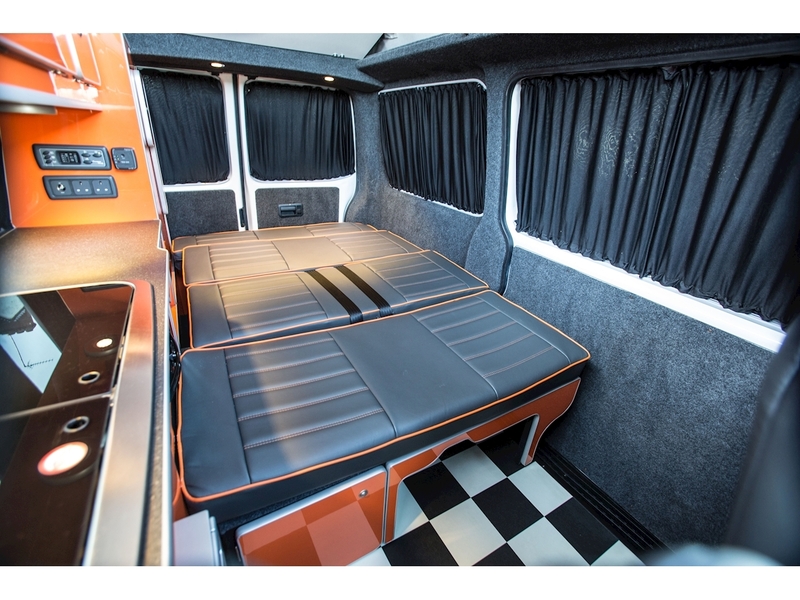 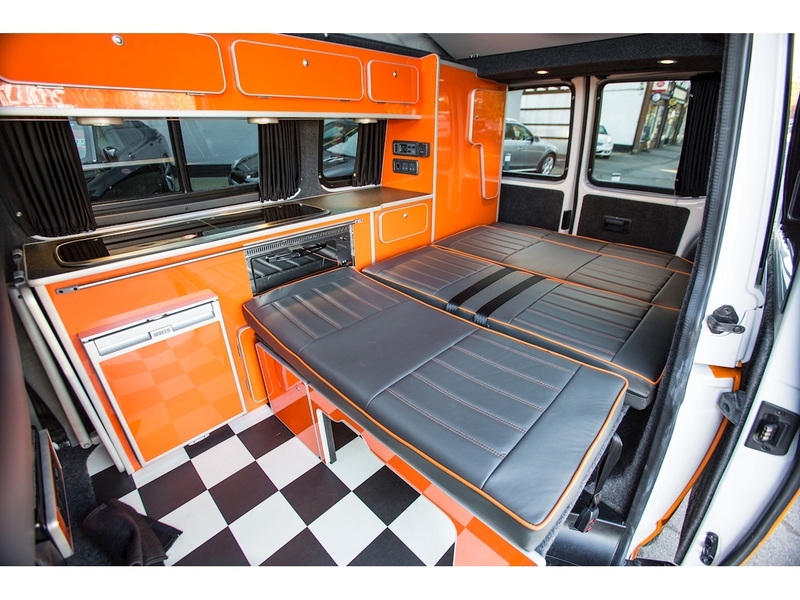 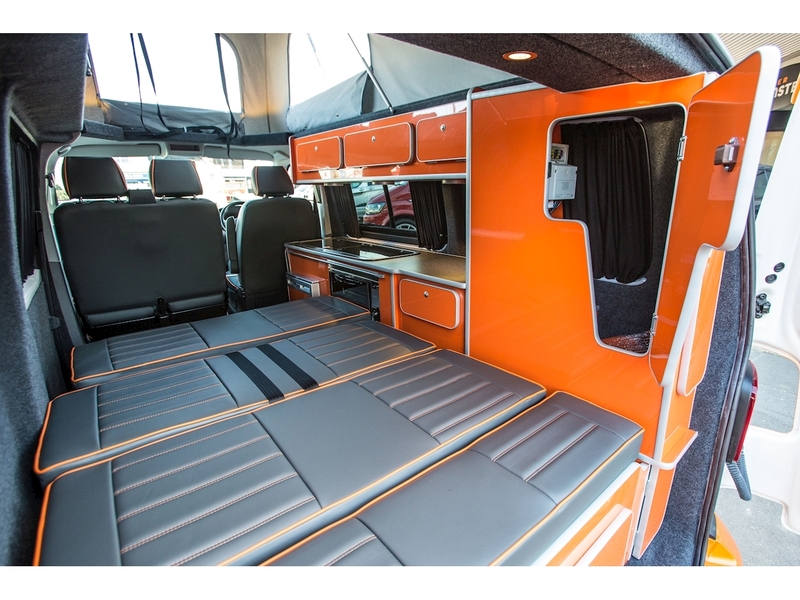 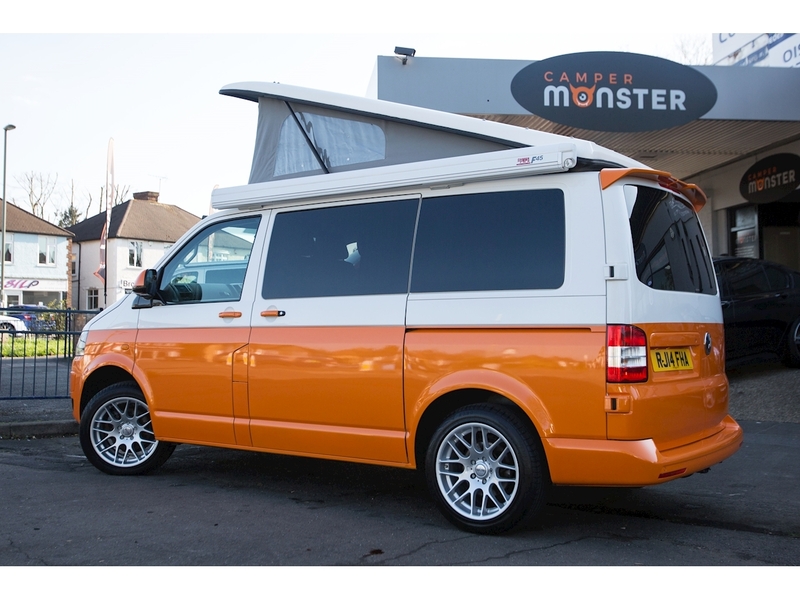 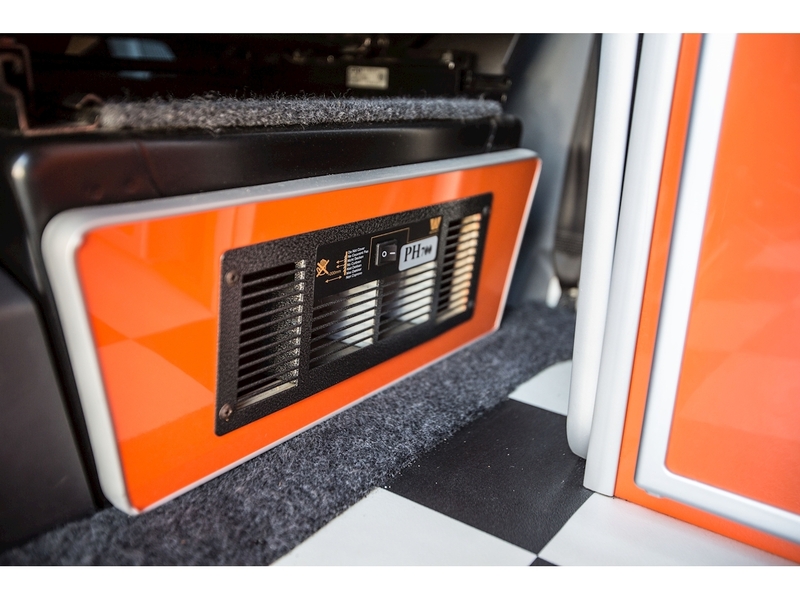 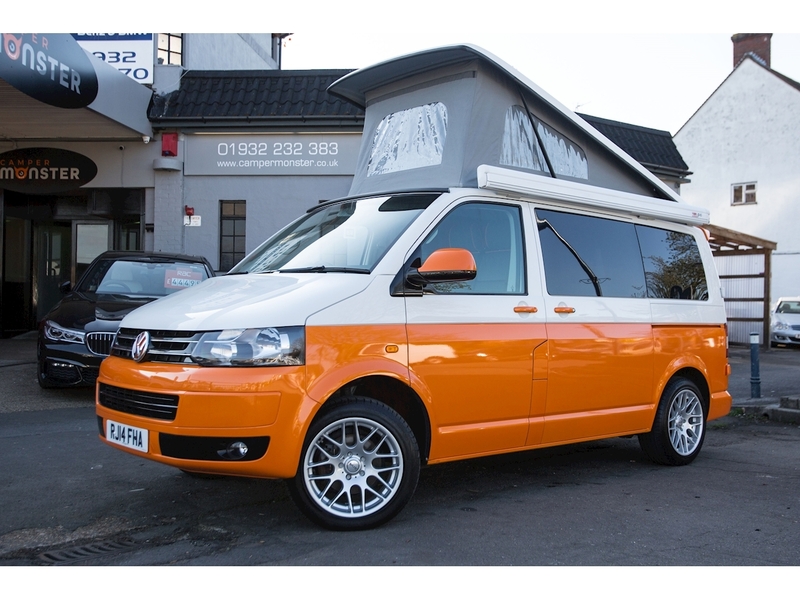 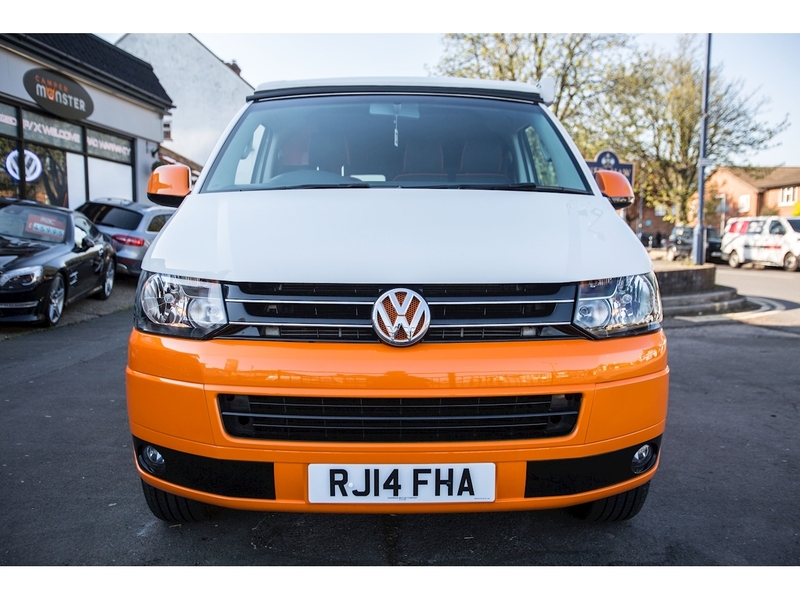 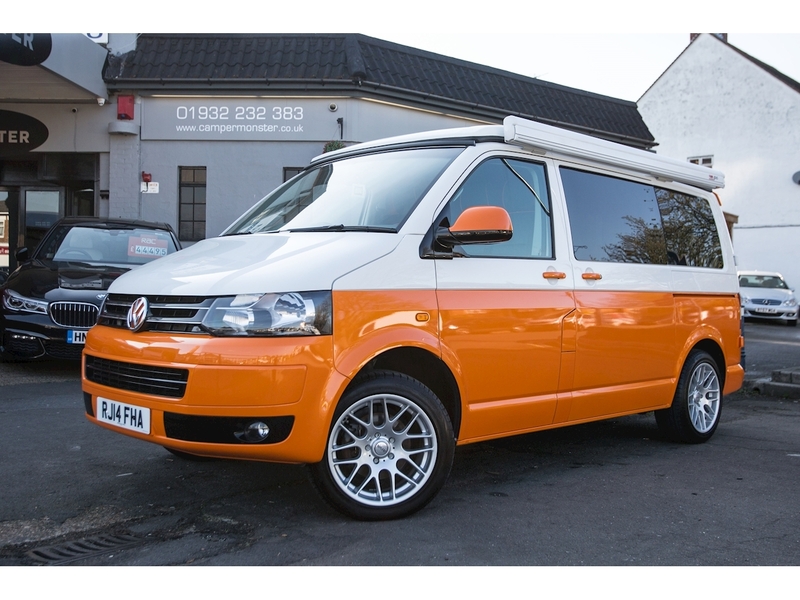 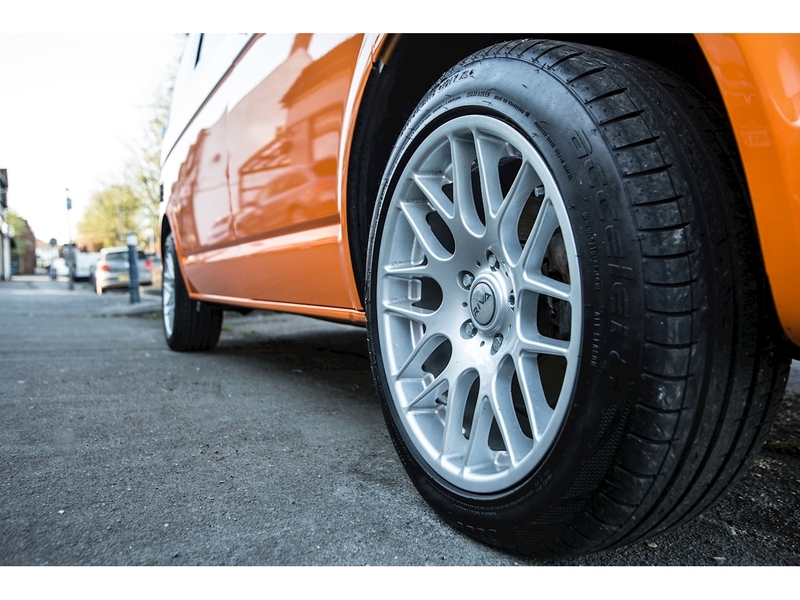 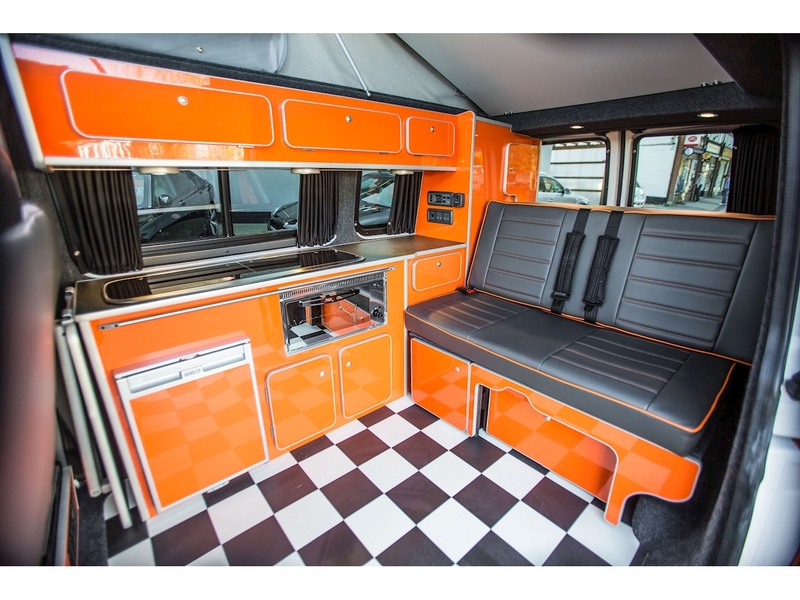 New in Stock, we have this very striking White and Metallic Orange "Two Tone" T5 Camper Van. 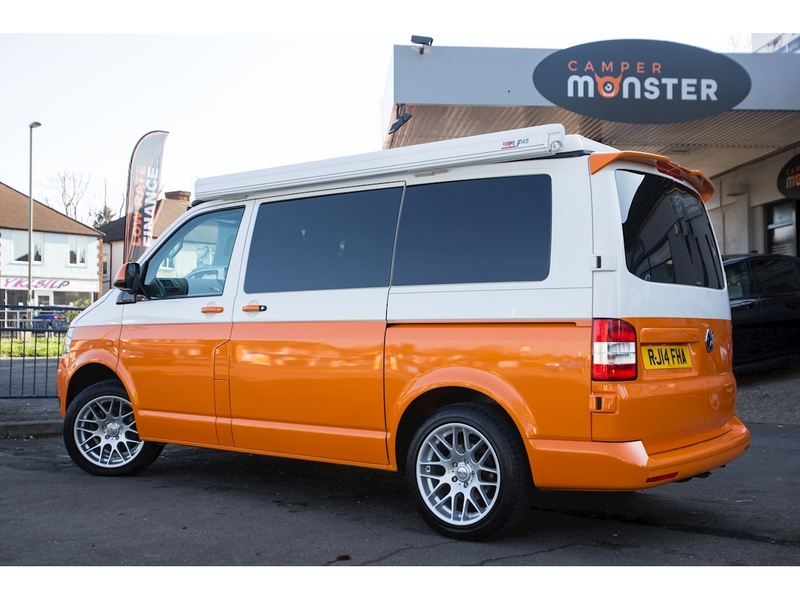 Originally converted by Camper King, this fine example has been tastefully modified by us here at Camper Monster. 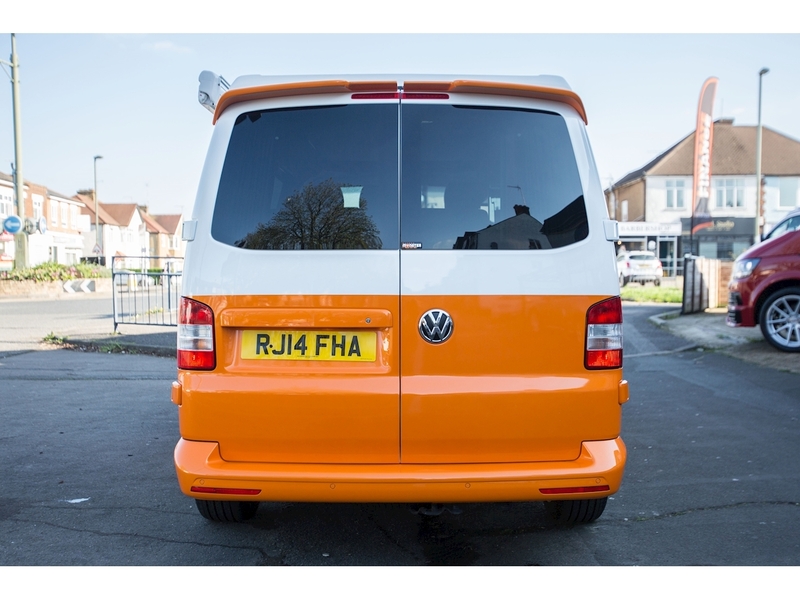 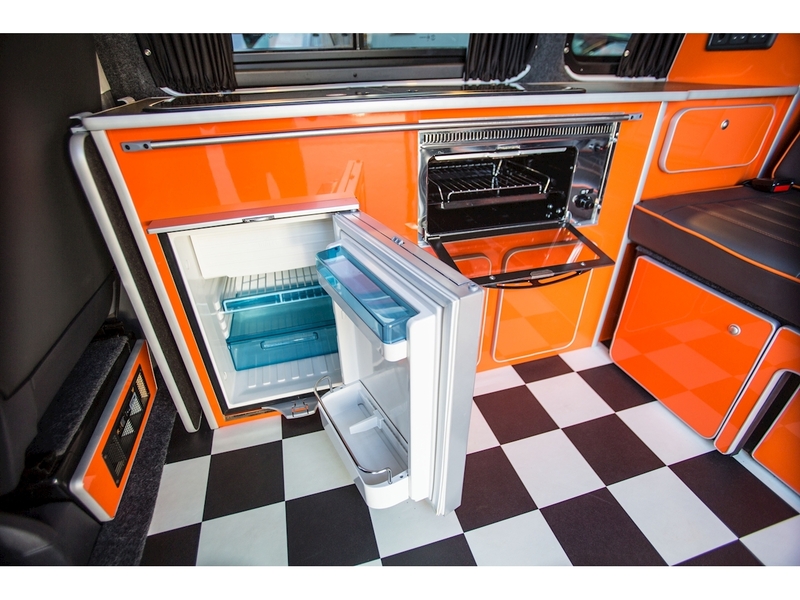 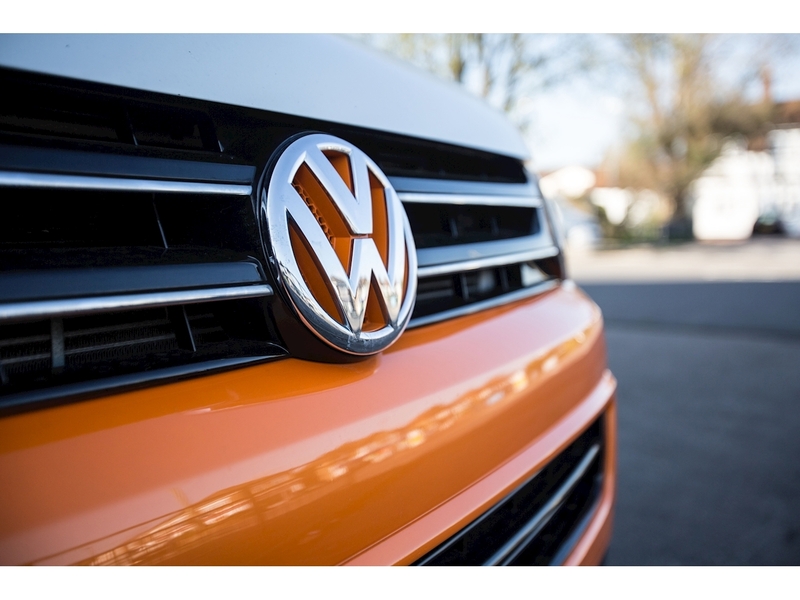 We have painted the bottom half so that it is now "Two Tone" White and Orange, giving that classic/ retro VW look! 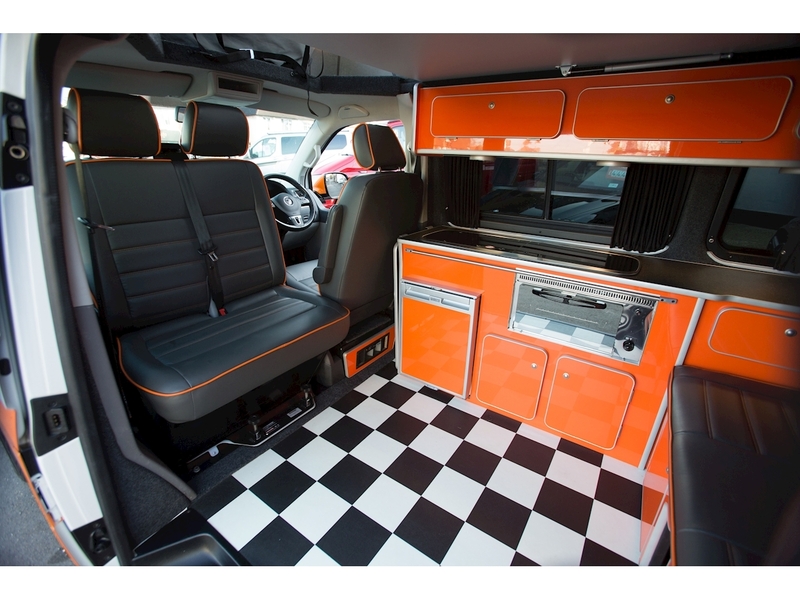 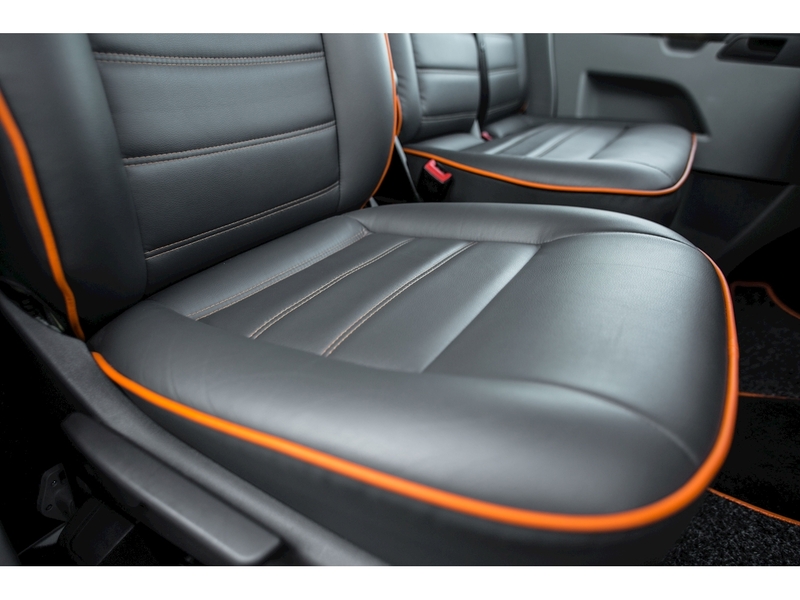 This is further complimented by the freshly trimmed Leather Upholstery and Piping, and is finished off with a set of Classy Riva Alloys to fully refresh its appearance! 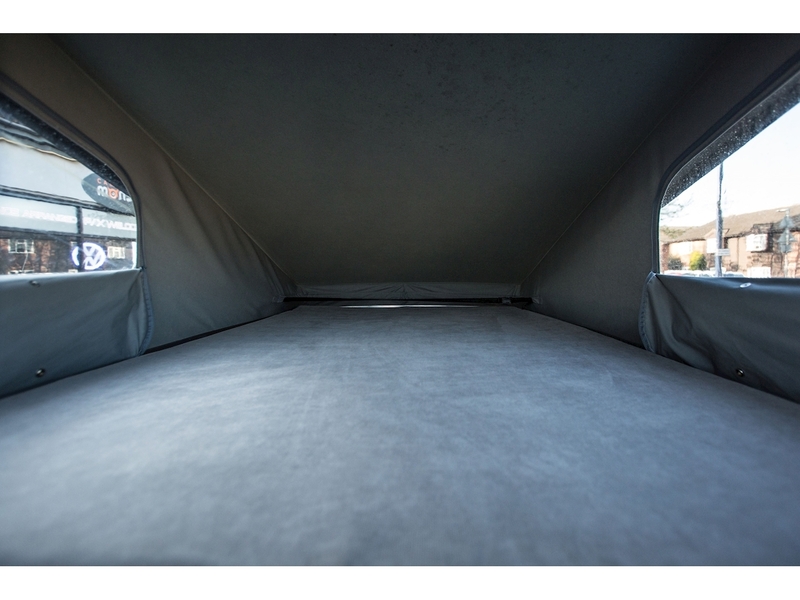 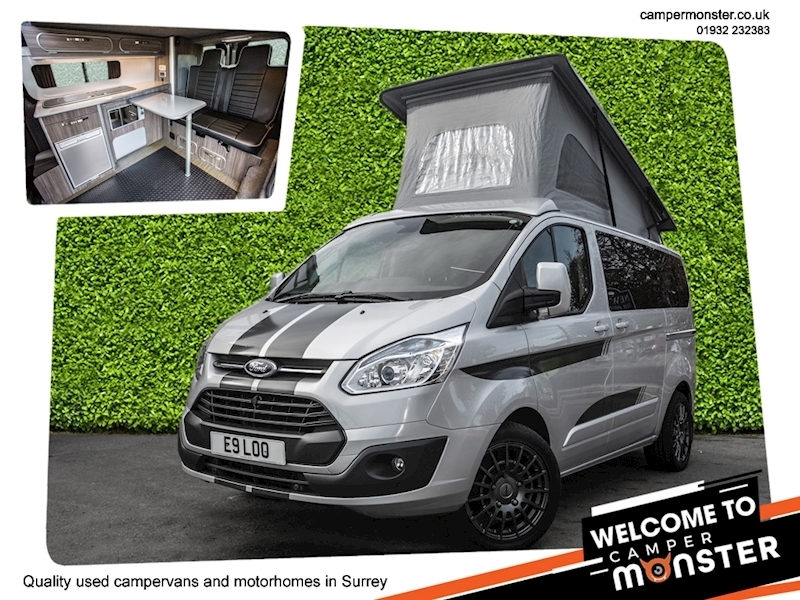 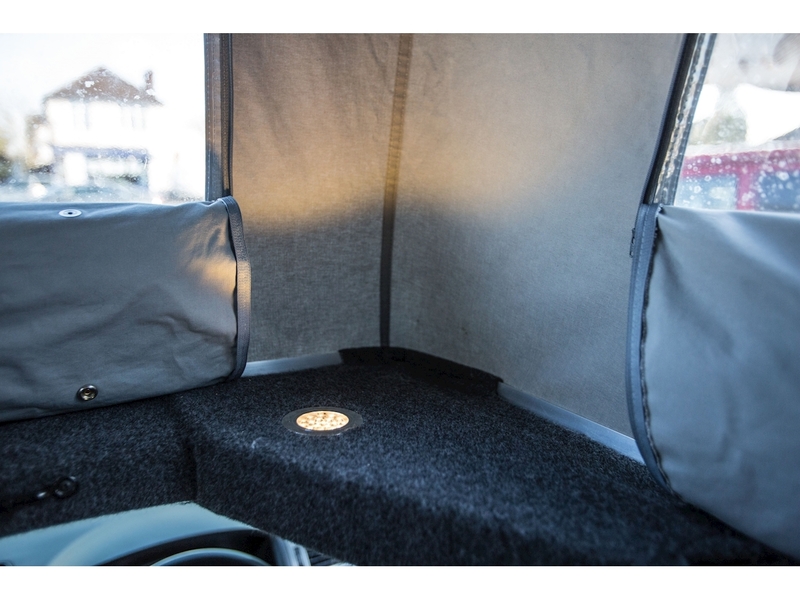 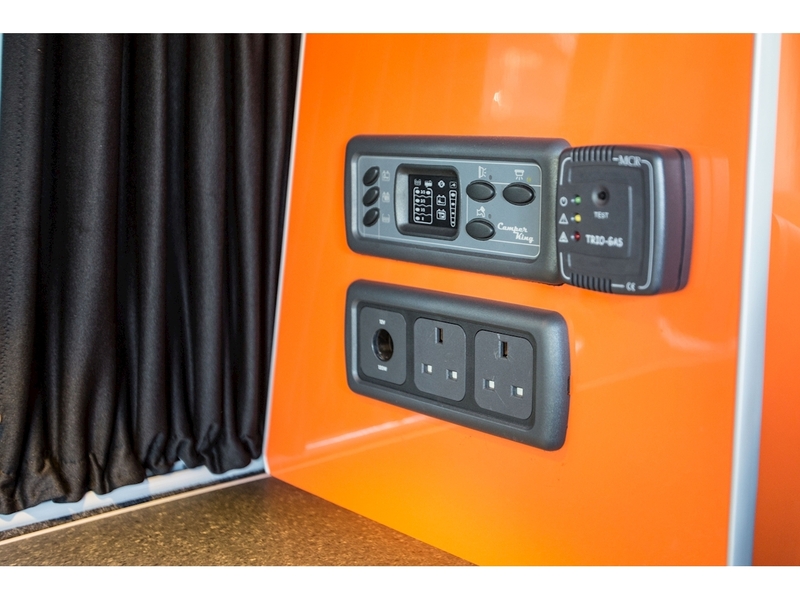 Boasting a 7 Speed DSG Auto Gearbox, Air Con and High Line trim, this Camper really does tick all the boxes! 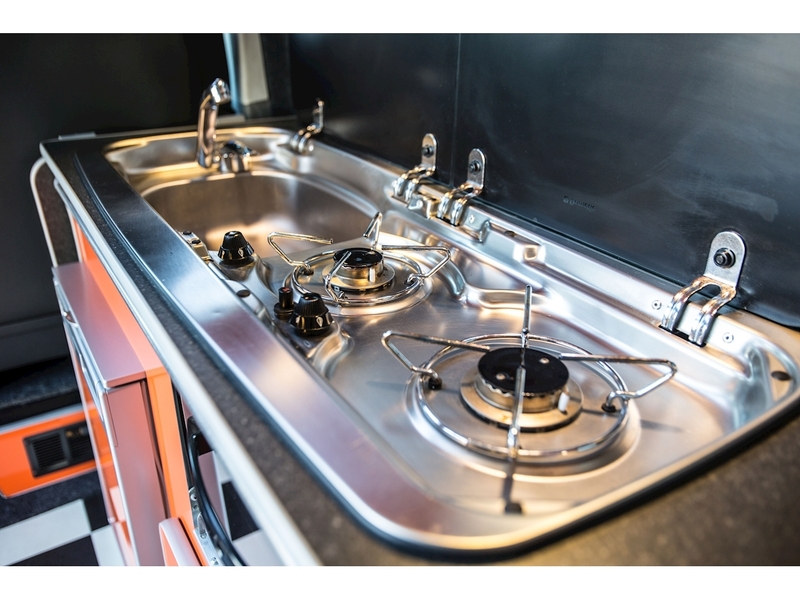 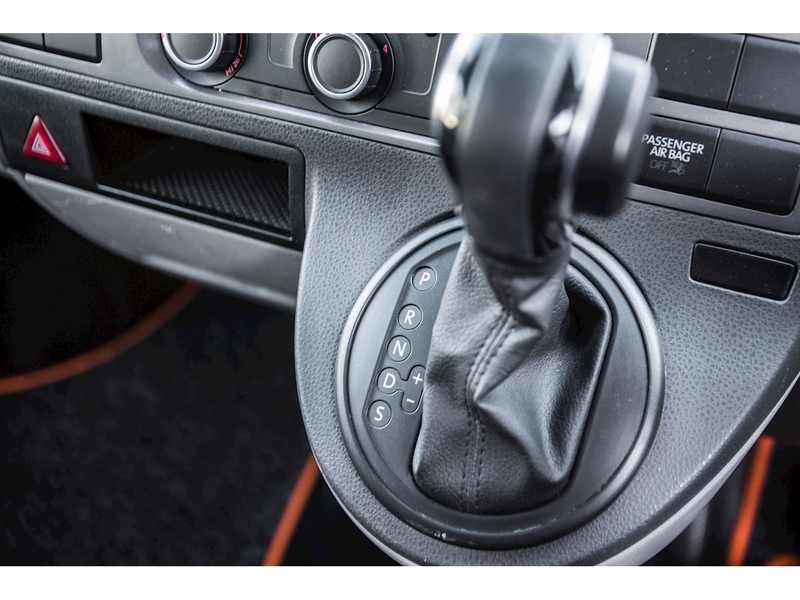 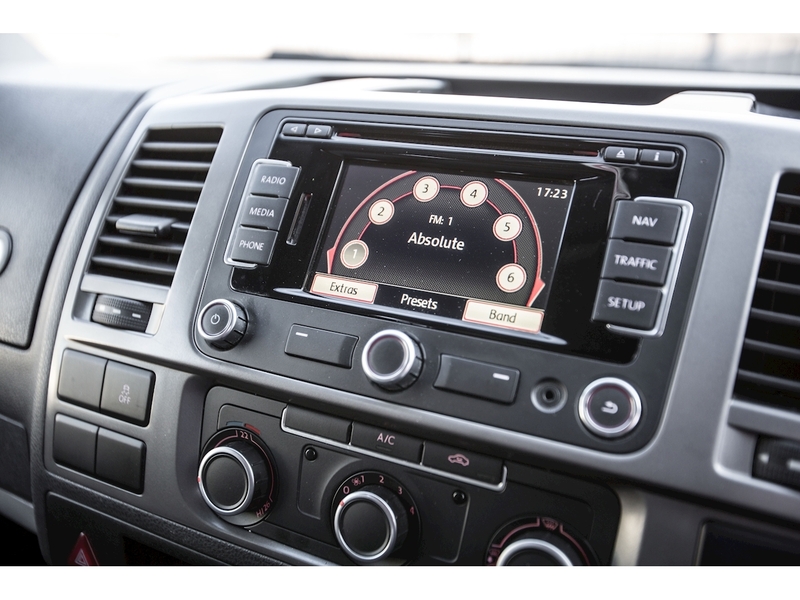 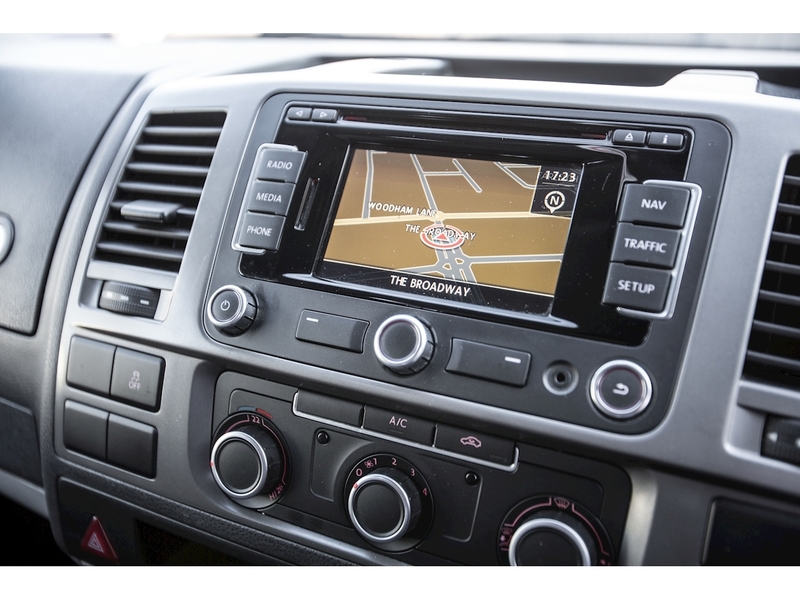 For more information, call us today on 01932 232 383, or come and visit us at our Show Room!